While drinking margaritas on Bourbon Street in the New Orlean's French Quarter this past weekend, I ran into a really great guy named Tom. It turns out that Tom is one of the founders of Republic Tequila! While sampling his 100% organic tequila, I learned the story behind Republic Tequila and how Tom got into the business. Tom is a true Texas cowboy, and I really enjoyed his zest for life. 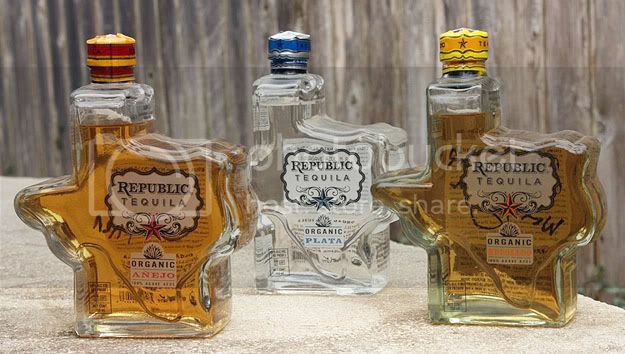 Based in Austin, Republic Tequila arrived on the market in August, 2009. It had its first bottle for sale in the Houston, Dallas and Austin areas of Texas, and within a few weeks the existing inventory was sold out. This high quality tequila is made with 100% blue agave tequila, with one distillery in Mexico. With three different types of tequila based on its aging process, this is a great product that is now spreading across the nation. Republic Tequila may grab your attention with its cool bottle, shaped like Texas. However, the great taste of this tequila will keep you coming back for more! Yes we met Tom In Red River NM. I had no idea who he was, I was just giving him a bad time about his buckaroo boots. On Saturday they had the Hot Chili Day, cook off and Tom was there with his Tequila. That is some awesome stuff, now the Forty Creek whiskey is kinda rough. But we had a great time and I had fun teasing Tom about his boots. RRC Quality Breeds/ Ulysses Ks.